Disclosure: I was provided with a bottle of Purex Crystals to facilitate this review. As always, I have expressed my honest opinions. I really like using Purex Crystals for many reasons. First, you dump the crystals in the washing machine at the beginning of the cycle. This is really important for me because my washing machine is about 100 years old (well, really about 25 years old). If I want to add fabric softener, I have to remember to listen for a certain rattle from the washer to let me know it is on the rinse cycle--and more times than not, I completely miss the cycle. But with the Purex Crystals, I don't have to pay attention to the discriminating sounds my washing machine makes. I just dump it in and forget about it till the cycle is complete. I also love that Purex Crystals do not reduce the absorbency of towels, like fabric softeners tend to do. When I get out of the shower, I want a towel that absorbs--especially for my long hair. I also like that they crystals are safe for athletic wear--they don't affect the wicking properties. It is also safe for children's sleepwear. The new, limited addition Fabulously Fresh has a wonderful fresh scent that lasts. I love using it on my bed linens as my entire room smells fresh. I also love to use it on all my towels and linens. I like pulling out towels from the linen closet that smell like they are freshly laundered, especially when I have guests. A nice surprise with this new limited edition scent scent is the fun color. I was expecting light pink or white, maybe, but it is a fun, springy green. And since I haven't seen much green in a long time (what a brutal winter we had) I really had to smile when I saw that! To celebrate the release of the NEW Purex Crystals Limited Edition Fabulously Fresh, Purex is hosting a sweepstakes where one grand prize winner will receive $1000 plus a year's supply of Purex Crystals. 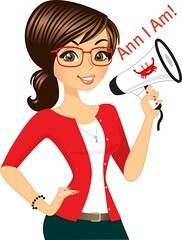 100 second place winners will receive a coupon for a free bottle. Simply click HERE to enter. 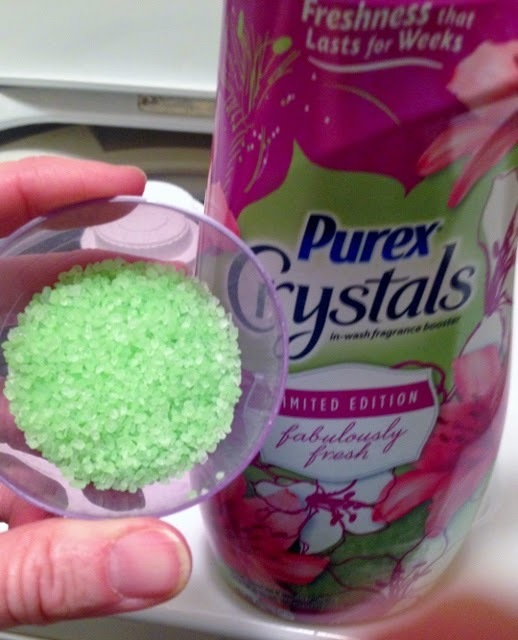 Want to try the Limited Edition Fabulously Fresh Purex Crystals for yourself? Then enter the super easy giveaway below. I would love for my laundry to have a fresh scent. I love Purex products and would love to try this one. I love the lavender blossoms and I am looking forward to trying this new scent. I love to try new items, and it sounds like it smells really good. I love great smelling laundry. This sounds like it smells good, so I'd love to try it. I love my clothes to smell fresh, but too often I get sidetracked only to remember later or the next morning I still had a load in from last night. Maybe this would help freshen that load when I have to re-wash. I'd love to win because I love all Purex products and would like to try this one since it's limited edition. I love the lavender blossoms purex crystals and I am looking forward to trying this new scent!